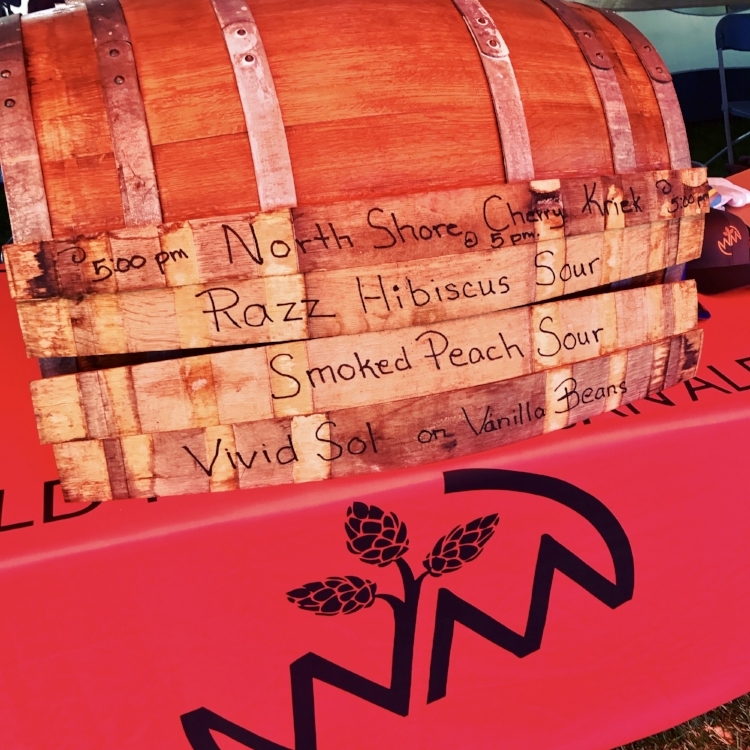 Summer may be behind us, but the changing leaves mean it’s time for the Autumn Brew Review, a fantastic outdoor beer festival put on by the Minnesota Craft Brewers Guild. Join us at the historic Grain Belt Brew in Northeast Minneapolis for an afternoon celebrating great beer from 140+ breweries from Minnesota and around the country. Breweries always break out the big guns for this festival, and we’re no exception. Pash Bash - Our latest American wild ale to come out of our barrel room. The beer is a blend of foeder, red wine barrel, and stainless fermented house sour beer that we then aged on over 700 pounds of dragon fruit and passion fruit. Wonderfully tart, incredibly refreshing, and vibrantly pink. Mirabelle - A golden sour fermented with our house wild yeast in oak foeders for six months then transferred to barrels that once held Tattersall Distilling’s award-winning gin. After spending six months in the gin barrels, the ale picked up floral notes from the juniper botanicals and has nice oak undertones to accompany the tart base flavors. Feeling Lucky with sweet cherries and cocoa nibs (Exclusive to ABR) - This blend of dark sours has lovely chocolate and cherry notes, so of course we added some more cherries and cocoa nibs to make it that much better. This one has something for stout and sour fans alike. Silla with cinnamon, vanilla, and oak spirals (Exclusive to ABR) - We aged a keg of our smoked peach sour on cinnamon, vanilla, and oak to add even more complexity to one of our most popular sours.